Zomblies was mentioned as part of Zombie Times’ search for the best zombie short films around. There are just two criteria for the submissions. The films must contains zombies, and they must be on the web. Pop along to the Terror4Fun site for more details. Of course, we’re not surprised Zomblies has been catching eyes in the zombie world, not to mention, legs, arms and other body parts. And if you know of any zombie films, give those Zombie Times people a heads up, they’re dying to hear from you! And if there’s any Devon or Cornwall connection, remember to cc us in on any correspondence. 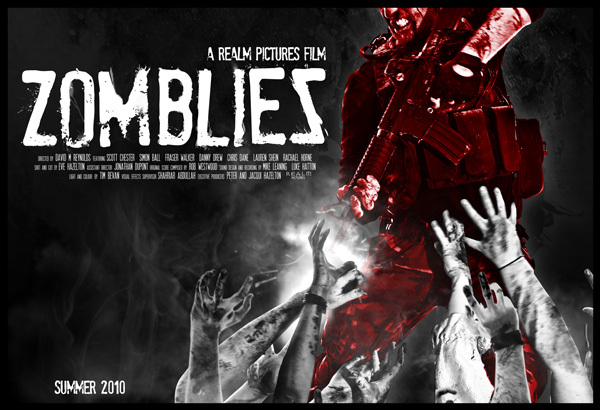 ZOMBLIES Official Trailer from Realm Pictures on Vimeo.